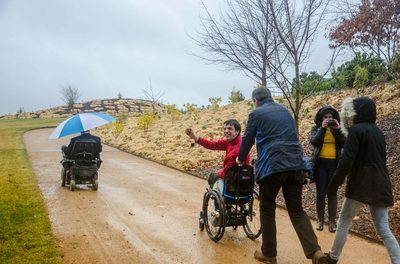 Mayfield Garden, one of the great cool climate gardens of the world, has opened the Camellia Walk – a mobility-friendly pathway that allows wheelchairs, prams, and other mobility devices to navigate around Mayfield with greater ease. In the design of the Camellia Walk, Mayfield has been gathering visitor feedback regarding mobility around the garden over the last 18 months. Mayfield garden and construction teams have created beautiful wide pathways that will accommodate wheelchairs and prams. These paths circle the Water Garden to overlook Mayfield Lake, avoiding the stairs and boardwalks, but allowing for stunning prospects into the gardens. 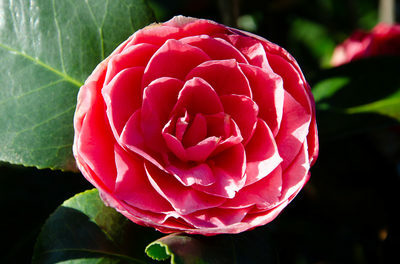 After months of work, the Camellia Walk has now opened. Along with honoured guest, James Horsburgh, Garrick Hawkins, and members of the Hawkins’ family, friends of Mayfield, and Mayfielders usher in a new era for Mayfield and local tourism – one of increased accessibility to all visitors. The Camellia Walk is open 363 days a year (closed only 25-26 December) along with the rest of Mayfield Garden so guests can enjoy this new mobility friendly addition year ‘round.